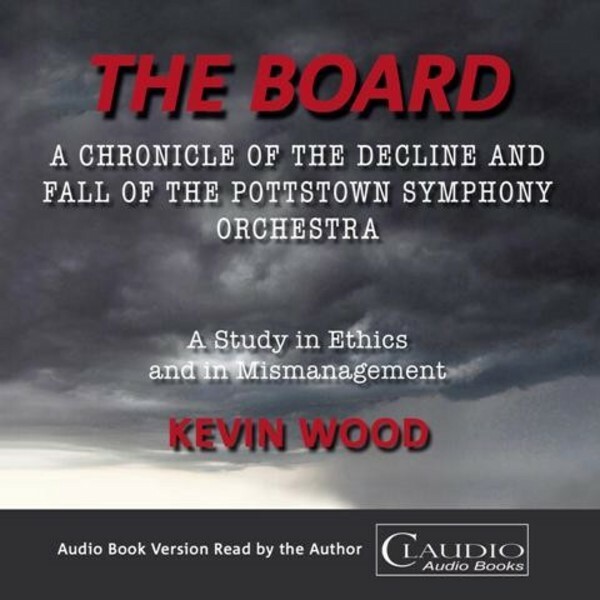 The Board is a book about ethics and mismanagment in the operation of a symphony orchestra in the United States. It is about an organisation that forgot its responsibilities to its community, to its employees, to its musicians and to itself. The Board details the process of decay that highlighted the final years of an institution which had been praised by a major metropolitan newspaper in the USA as the region's "note of distinction". The Board hopes to serve as a pathfinder for students, members of existing boards, musicians and for others who are involved in the arts in their communities. It hopes to offer the lessons of experience to those questioning the ethical makeup of their own organisation before it becomes too late to reverse that structural decay. Kevin Wood has worked in major positions in the music industry for over 40 years, with such international organisations as RCA Records, BMG, Sony Classical and others. He has also been CEO of the Jena Philharmonic in the former East Germany, before taking this position as Executive Director and CEO of the Pottstown Symphony Orchestra. The observations he made while working in Pottstown as the final chief executive of this organisation, and the conclusions he has drawn from that experience, have led to the writing of this book. Kevin Wood also lectures on International Music at Middlesex University in London and at the Hochschule fur Musik und Theater in Hamburg, Germany.